SURVIVING THE WILDERNESS IS ONLY HALF THE BATTLE! 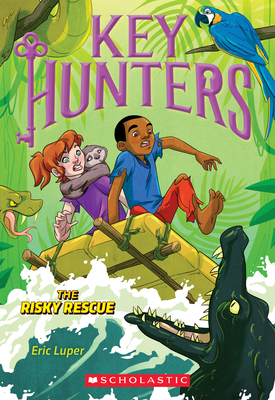 A plane crash in the Amazon lands Cleo and Evan on the hunt for a valuable golden statue. They must find it -- and their next key -- to make it home alive. But the jungle is full of deadly creatures, raging rapids, and an all-too-familiar villain who wants nothing more than to trap them forever!